This is a great time of year. People are typically more generous to each other, there are many family gatherings and holiday parties, and good spirits are shared all around. However, there are also other, not so pleasant, things shared. Welcome to cold and flu season. 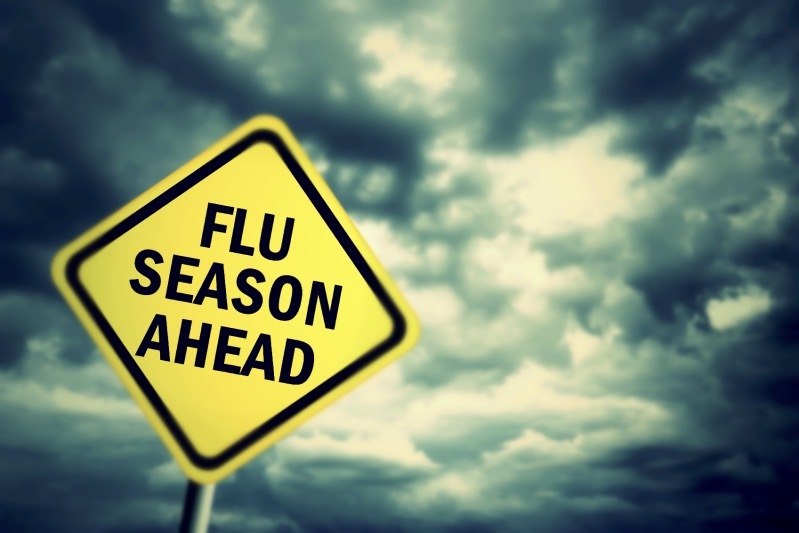 The CDC releases information about cold and flu season every year. Usually it starts in October and can continue on into May. The worst part of it is February with December being strong in second place. 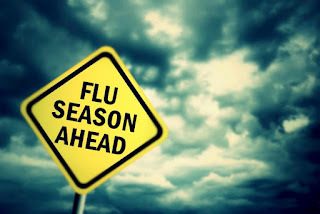 So now is the time to pump up your immune system in preparation for the hard times. Prevention is the best medicine. But how do you prevent the cold or flu? 1. Proper diet is paramount to health. Most people should avoid grains, sugars, and other starchy foods, but everyone has different needs. Good basics include eating organic as much as possible, drinking plenty of water, and “eating the rainbow.” Eating the rainbow is my number one rule for daily consumption. If you eat a wide range of fruits and vegetables from each of the colors of the rainbow, you are consuming a good variety of nutrients. This season, focusing on the yellow and orange fruits and vegetables will also help you boost your immunity because those colors are associated with higher amounts of vitamin C.
2. Wash up often. Wash your hands for 20+ seconds at a time, don’t forget between your fingers and around your nails. Hand sanitizers can also help prevent the spread of these viruses, I make one at home that works well, if you are using my recipe, add in the optional rubbing alcohol for this time of year. Also adding in 10+ drops of peppermint essential oil can help target viruses instead of bacteria. 3. Regular exercise helps boost the body’s immune function. All you need is 45 minutes of stretching and/or moderate-intensity exercise a week in order to increase your immunity. 4. Herbs can also be a huge help in prevention. Garlic is great to help prevent and fight viruses, it is best raw and crushed because that releases the allicin which is the main compound that fights off viruses and the allicin can be destroyed by excessive heat. Ginseng and Eleuthero (Siberian ginseng) both can help to boost immune function to prevent viral infections. Astragalus has also been used in Chinese medicine to prevent viral infections. Astragalus can be combined with garlic for a great broth, especially if you are making a bone broth which has many health benefits all its own. 5. Bone broth helps to boost immunity in addition to its other amazing benefits. This is why chicken soup is so effective against colds and flu, it’s all in the bone broth. When prevention is not enough we have to look at treatments. 1. Avoid dairy. Dairy increases mucus production which can slow healing. And let’s face it, we’re already producing excess mucus while we’re sick, we really don’t want to produce any more. 2. Consume lots of hot liquids. 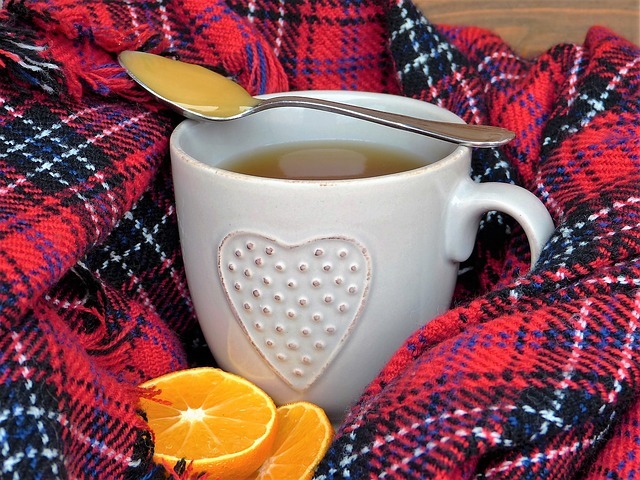 Warm teas, warm lemon water, soups, these are all beneficial while we are sick. 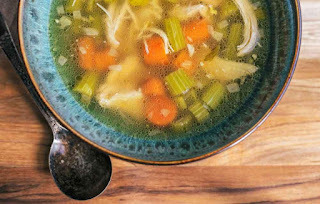 Our bodies really don’t need to be focusing on digestion much either, so drinking the warm liquids and eating mostly soup will help build up the body’s strength while not burdening it with lots of digestive issues. Not to mention, bone broth is great at boosting immune function and herbal teas can have benefits all their own. 3. Herbs are wonderful remedies as well. Adding fresh herbs to teas or soups can help speed up the healing process greatly. Ginger helps with nausea, vomiting, high fever, and headaches. Ginger goes well in teas and soups alike. Nettle is a great multivitamin and can also help ease symptoms in upper respiratory infections. I add it to most foods and it’s great in a tea with red raspberry leaves and peppermint. Elderberry is so good in treating the flu that you can now find elderberry medicine in your neighborhood drug store. However it’s easy to make your own, Wellness Mamma has a great elderberry syrup recipe here and elderberry syrup is delicious so you should not have a problem getting your child to take some. Yarrow is great whenever a fever is involved, and it’s especially good for children. Unfortunately it is a bit bitter, so adding in peppermint and honey are a good idea, they are both also really good for colds and flu so they can add their own benefits as well. All the herbs previously listed for prevention are also good to continue while you are ill.
4. Increasing vitamins C and D intake can also be a great benefit. These two vitamins help strengthen our immunity and fight off colds and flu. 5. Don’t hinder your body’s natural defenses. We are coughing because our bodies are trying to expel virus-laden mucus from our respiratory track. Keep coughing and try not to suppress it with over-the-counter medications. Instead try thinning the mucus out with steam (essential oils can be beneficial here, eucalyptus and peppermint are two good ones) and drinking plenty of fluids. It may be annoying and, in some cases painful, but as long as your cough is productive (you’re coughing up mucus) it’s beneficial to keep it up. Same thing goes for your runny nose. I like to make sure that I don’t sniffle back the mucus in my sinuses. It can prolong sickness and possibly cause a sinus infection later on. I just invest in the good tissues (I prefer to use the ones infused with vicks) and blow my nose often. 6. Hydration and rest can be the best medicine! We need several additional hours of rest a day when we are sick, but we also need more liquids to help support immune function. I hope you find this helpful and useful this season. Enjoy your gatherings, your family, and your friends and stay healthy!